Guys, no science in this one. Also, stay tuned for a better treatment of this topic from Archana Dayalu over at Policylab. I originally wrote this for policylab, but it turns out Archana had the same idea earlier. Hence you'll notice a completely different writing voice (it's not the fun one I use in my blog). As I wrote in the past, outsourcing of manufacturing jobs allows the US to push all the pollution in manufacturing into other countries while enjoying lower prices of goods manufactured by cheap labor. Thanks to Kate Wang for bringing a recent NYT article to me attention. Atmospheric modeling shows that transport of the export-related Chinese pollution contributed 3–10% of annual mean surface sulfate concentrations and 0.5–1.5% of ozone over the western United States in 2006. This Chinese pollution also resulted in one extra day or more of noncompliance with the US ozone standard in 2006 over the Los Angeles area and many regions in the eastern United States. 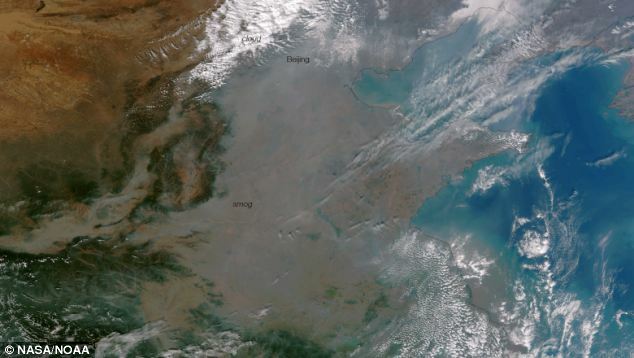 On a daily basis, the export-related Chinese pollution contributed, at a maximum, 12–24% of sulfate concentrations over the western United States. In other words, goods manufactured in China and consumed by the United States directly cause pollution in the western United States. The upside is that the former heavy manufacturing centers in the Eastern United States have outsourced to China, cleaning up the air of the Eastern US. The article points out that, given the dense population of the east coast, this is a net win for the US, at slight expense of the west coast and great expense of pollutants in China. Air pollution in Beijing. One picture taken on a clear day, another on a smoggy day. This is the capitol city of China. This is the ugly side of outsourcing. It remains unclear what the author's ultimate goals are. There is no international accounting of pollution. Either the authors are greenwashing--the practice of trying to make manufacturing or other industry look environmentally more friendly through the process of bullshitting--or they are anticipating some accounting system, either internal to China or external, in the future. The authors argue for a different method of accounting for pollution associated with manufactured goods. Currently, all pollution is attributed to the producer. Chinese factories build the goods, China gets assigned the pollution in international ledgers. Consumption based attribution, they argue, would make more sense. The goods are made for American (and otherwise) consumption, and the pollution should therefore be attributed to America. Disregarding whether this is right to do, or whether it would accomplish anything more than green-washing China’s economy, let’s explore several of the implications of this policy change. Specifically in a hypothetical world that has to account for pollution contained within products, which, aside from green-washing, would be the major reason to worry about pollution attribution. Manufacturing of these export goods requires significant amount of energy. The sulphur and black carbon that reaches the west coast specifically come from coal-fired ower plants. China puts few controls on emissions from these power plants, and the required rate of construction results in power plants that are significantly less efficient than those in the US. This means that every bit of energy produced and used in China, for manufacturing or otherwise, contains more pollution than it would in the US or any other developed country. Moreover, Chinese manufacturing is less efficient than developed countries for a variety of reasons. The end result is that a good manufactured in China embodies more pollution than the exact same good manufactured in the US, Japan, Korea, Europe, or any other advanced nation. If policies were put in place to move to a consumption-based attribution of pollution, and that attribution had real-world implications on the cost or value of a product, Chinese goods would face a competitive disadvantage. The implications are pretty straightforward: either China cleans up its manufacturing and energy sector, greatly benefitting China and slightly benefitting the rest of the world from a pollution standpoint, or goods are produced in countries where they can be made for less environmental cost, hurting China’s exports while healing its air quality and benefitting the rest of the world financially and environmentally. While this attributing of pollution on the consumption side seems to mostly have net benefits, it only works if purchasers or producers are forced to pay for pollution they bring about. We are not currently in a world where either are held accountable for the pollution associated with manufacture of Chinese exports. In this, Jintai Lin’s suggestion seems only like greenwashing: an attempt of finger-pointing for the destruction of China’s air quality and environment. The President's State of the Union Address. Geopolitics of Oil: Expanded US (and Russian) Oil Drilling and the Middle East's Bane. What do the price of oil, the president's state of the union address, and middle eastern stability have in common? In the address, the President talked about fighting climate change, but the US is going full-tilt towards more drilling. While this sounds like hypocrisy, it actually puts the US and the world in a better position to deal with climate change. Sounds crazy? Keep reading. Here's a hint though: What would happen if the price of oil dropped to $40 overnight? Much of the Middle East power structure would collapse. Because this is a science blog, I am writing science stuffs here. I want to point out three things. 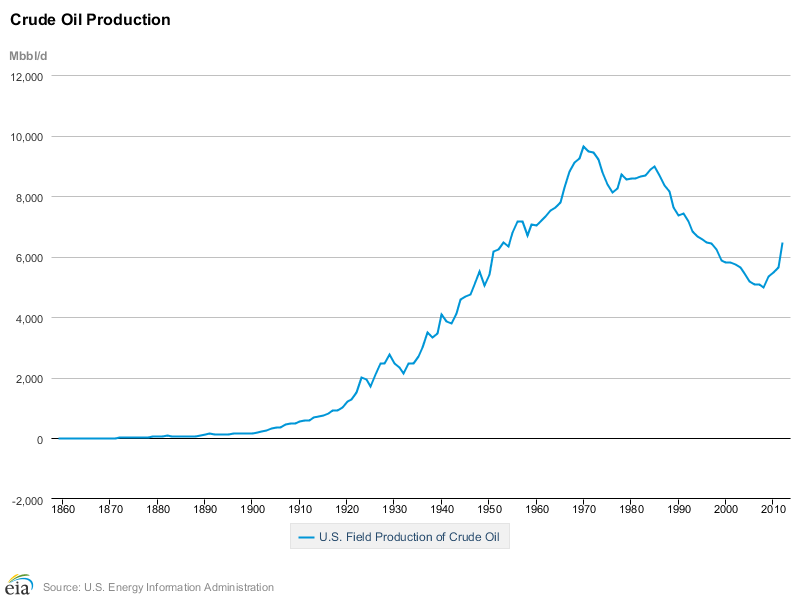 First, in the 70s and 80s the US was one of the world's most prolific oil producing countries. A lot of this came from huge Texas fields, like Eagle Ford. And then the gigantic basins like Eagle Ford ran out of easily accessible oil, and US oil production collapsed. Now look at the ramp rate of production in the most recent years. The rate of increase in production is unprecedented. It's going up fast. Notice the massive rate of increase of production. From 2008 to 2012, Texas alone increased production so much that it provided an additional 2% of the world's oil. 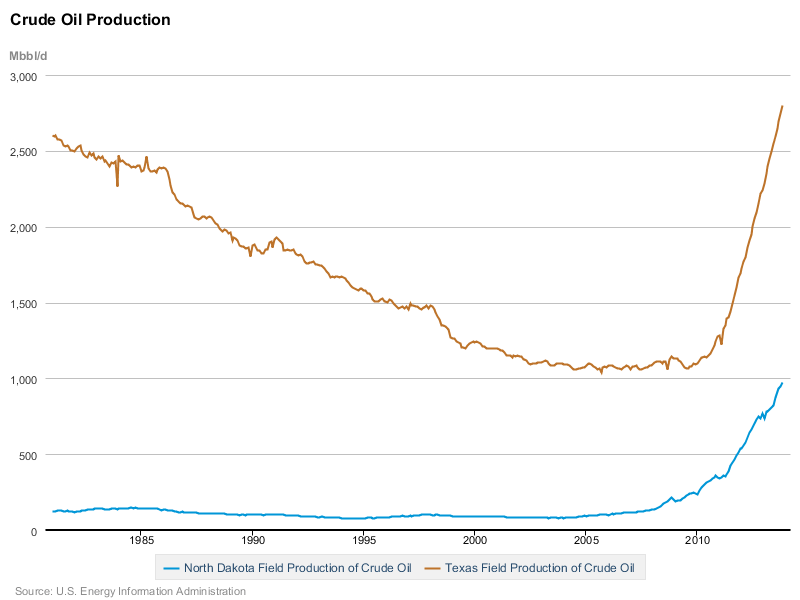 North Dakota is producing nearly 1 million barrels a day, or slightly more than 1% of the world oil. Together, they produce 3.75 million barrels per day, 4% of the world's oil. Let's put this in perspective. Iran produces 4 million barrels a day. North Dakota and Texas alone produce nearly this much. Look at those growth rates. Are they showing any signs of slowing down? No. In other words, the US is rapidly becoming one of the world's most prolific producers of oil. Every single major play of the 70s and 80s is about to become a new Bakken. That means going back to the days when the US was the largest oil producer in the world. That means Russia is also going to be able to ramp up production, once they figure out how to hydrofrack. So the price of oil is going to drop in the future. This would mean less military spending, which would in turn mean more domestic investment (or lower taxes, but our ailing infrastructure and gutted R&D budget really could stand to be brought back up to where it was when the US rose to become the world's only superpower). The second implication of this glut of oil is much more far-reaching. It means is lower oil prices worldwide. If oil drops below $75 a barrel, even Saudi Arabia struggles. It'll be hard for the Middle East to make trouble when they cannot afford to. Now let's say hypothetically that Iran funds terrorist groups (I haven't researched this and don't know whether it is true, so it's a hypothetical). If the price of oil drops to the point where they can no longer profitably produce, then suddenly our hypothetical country cannot fund terrorism. And we save moneys from no longer needing as much anti-terrorism programming. In other words, we save money because we won't be sending military to the middle east, and because terrorism will potentially be more poorly funded. Let's sum up: produce more oil, the price of oil drops, countries and companies make less money from oil (mostly countries, companies have a way of maximizing profits pretty well), since countries have less money, they can't push their state agendas as much. So, pretty much, drill more in the US (where we can regulate emissions), save a ton of American (and European) money by no longer having to make sure there is peace around oil resources, use that money to fix all the problems we've created with the environment. In other words, more drilling is a potential long-term solution because it will eventually free up more funds in the federal budget. It's my guess that the president can't say, "We need to drill in the US to make it so we don't have to spend money stabilizing the Middle East. 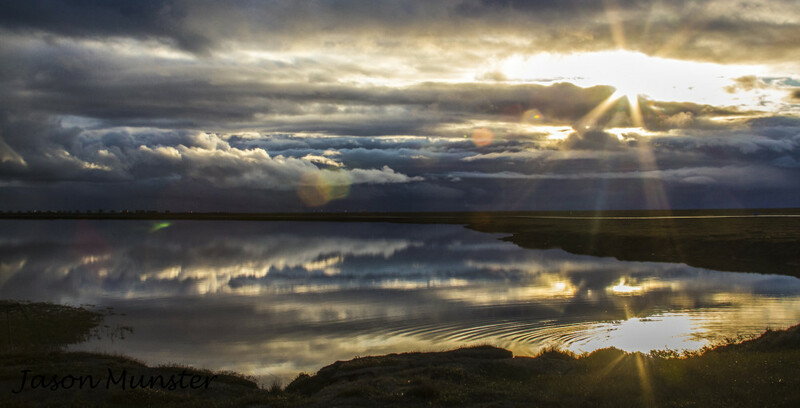 Once that is no longer a problem, we can use the extra money to address climate change." Some criticisms: If the decrease in the price of oil results in more oil consumption, this would be bad for the environment. We need to continuously improve efficiency of vehicles and industry, and decrease our demand for oil and fossil fuels. Any money saved from military intervention happening less should be driven towards this goal.